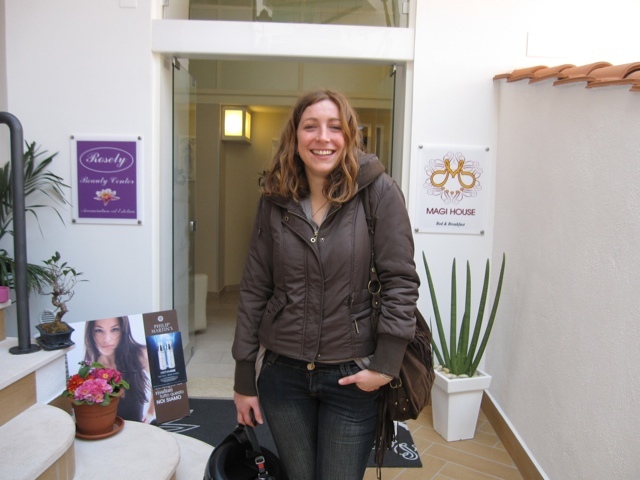 Post by Wynette, Day 5 in Sorrento: Ilaria has been at the front desk of our B&B nearly every time we’ve gone through. We are fortunate to be near the center of town so we can come and go to our B&B several times a day to rest, get things, etc. So we have seen Ilaria several times a day, every day. We are wondering when she takes a break. She said “Ilaria”, pronounced ee-lar-ee-uh, is the Italian equivalent of “Hilary”. She speaks English pretty well, but not perfectly, so it is very charming. She has been so nice and helpful. She’s our best friend in Sorrento. I asked if I could take her picture and she smiled and took a nice pose for us. Every time we’ve traveled in Italy and asked someone if we could take a picture, they have always seemed happy for us to do so. 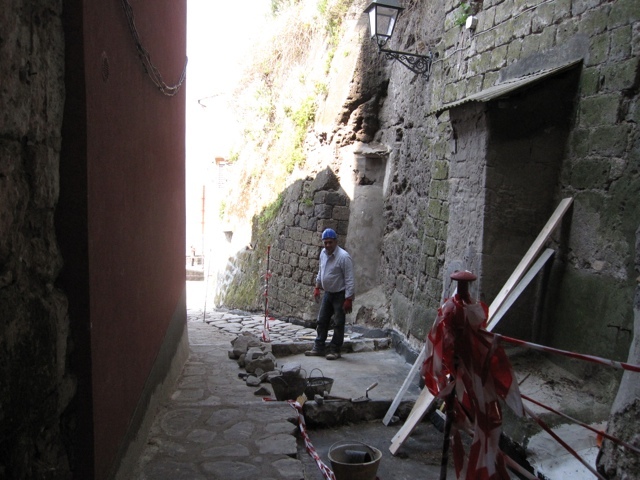 When we were walking back from the Marina Grande (our favorite spot in Sorrento) after having lunch there today, we passed this man laying stones in the walkway. We’ve been watching his progress for several days. We asked if we could take a picture and he said yes then indicated he wanted us to wait while he put his hat on for the picture.